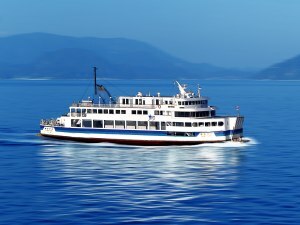 Regularly operated car ferries connecting Yawatahama Port (Yawatahama City, Ehime Prefecture) and Beppu Port (Beppu City, Oita Prefecture) in 2 hours and 50 minutes, and Yawatahama Port and Usuki Port (Usuki City, Oita Prefecture) in 2 hours and 25 minutes. 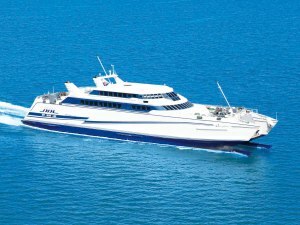 A regular car ferry service that connects Kanaya Port (Chiba Prefecture, Futtsu City) and Kurihama Port (Kanagawa Prefecture, Yokosuka City) in about 40 minute. The ship can carry up to 680 passengers and about 100 cars. Inside, there are shops and an observation deck. The line conveniently serves as a by-pass connecting the Boso Peninsula with the Miura Peninsula. 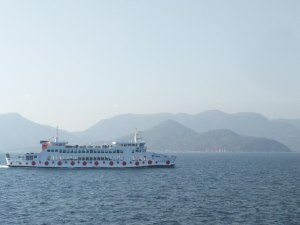 A regular line which connects Shimizu Port (Shimizu-ku, Shizuoka-shi, Shizuoka-ken) and Toi Port(Izu-shi, Shizuoka-ken) by car ferry in approximately 70 minutes. 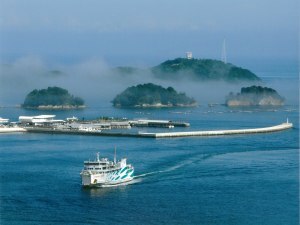 A regular car ferry service that connects Toba Port (Mie Prefecture, Toba City) and Irago Port (Aichi Prefecture, Tahara City) . About 55 minute ferry ride. 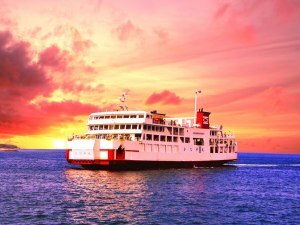 A comfortable car ferry service with roll preventive devices, which carries up to 500 passengers and 50 cars. A special vista room for hire, an information counter, shops, Wi-Fi facilities available. 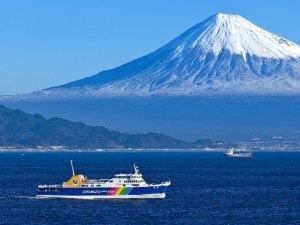 A long distance regular line which connects Osaka Nanko Port (Suminoe-ku, Osaka-shi, Osaka-fu) and Shin Moji Port (Shinmoji-ku, Kitakyushu-shi, Fukuoka-ken) in about 12 hours and 40 minutes by a large car ferry (accommodation available). 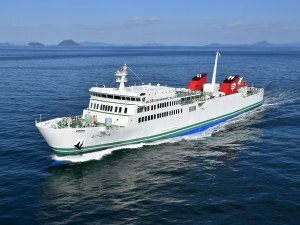 A regular high speed Car Ferry that connects the Kumamoto Port (Kumamoto City, Kumamoto Prefecture) and the Shimabara Gaiko Port (Shimabara CIty, Nagasaki Prefecture) in 30 minutes. A very safe and spacey vessel which holds 430 passengers and 51 passenger vehicles (or 9 large buses). Wi-Fi onboard. 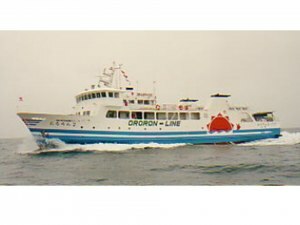 A regular line jointly operated by Setonaikaikisen Inc. and Ishizaki Kisen Co., Ltd. which connects Hiroshima Port (Minami-ku, Hiroshima-shi, Hiroshima-ken), Kure Port (Takara-cho, Kure-shi, Hiroshima-ken) , and ·Matsuyama Sightseeing Port(Takahama-cho, Matsuyama-shi, Ehime-ken) by a passenger car ferry in about 2 hours 45 minutes and by high speed passenger ship in about 1 hour 17 minutes.